Little Star has a dedicated professional staff that includes teachers who have been here since the beginning, staff who have been employed for more than 20 years and alumni who are now staff – and are sending their own children to Little Star! Dani grew up in the Methow Valley and was a member of Little Star's inaugural class of 1982, where she experienced the feeling of doing meaningful work for the first time. After graduating from Liberty Bell High School in Winthrop, Dani spent 15 years away from the Methow traveling, attending school, working in the film industry and non-profit sector, and falling in love with her husband, Ray. Dani returned to her beloved hometown to raise her two boys and to lead the school that ignited the spark in her years ago. Dani is passionate about early childhood education and the Montessori Method of supporting children's natural curiosity and creativity. “It is a dream come true for me to be back in the Methow, working at Little Star with the most talented and passionate staff, and watching my boys blossom through their own experiences at this special school.” Dani holds a bachelor's degree in comparative literature and a master's degree in public administration, both from the University of Washington. 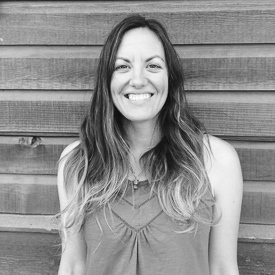 Prior to returning to the Methow Valley, Dani served as the Director of Development at Seattle Girls' School for five years. Dani enjoys playing in the outdoors and has developed a new love for West African Dance. Rayma grew up in Galveston, Texas, attended Lamar University in Beaumont, Texas, and travelled extensively before marrying John Hayes in Spain. It was in Spain that she was introduced to the Montessori Method and philosophy through friends who needed preschool for their 3-year-old daughter, Mercedes. With two Montessori books and a few hand made materials, Rayma and Mercedes held school under a jasmine tree for more than a year. Later, Rayma returned to the US to receive her Montessori Certification at Houston Montessori Center. 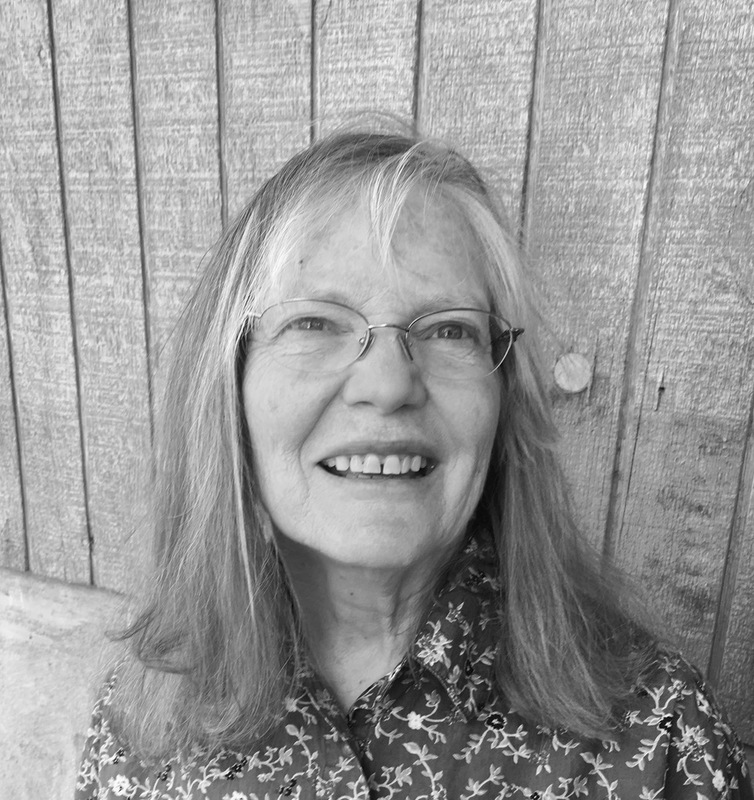 She moved to the Methow Valley in 1974 and founded Little Star Montessori School in 1982. Her greatest joy was being with the children at Little Star. She felt privileged to be able to spend time in each classroom and get to know each child personally. Brad has a passion for values-based leadership and brings a wealth of financial and organizational management skills to Little Star. After co-founding and managing his own urban farming/edible landscaping business (The Seattle Urban Farm Company) for 8 years, he moved to the Methow Valley in 2015 with his wife, Erika. They are overjoyed that their daughter Aurora can attend Little Star along with Dad! In his free time, Brad loves rock climbing, skiing, playing the guitar and trying to convince Aurora to help him weed their vegetable garden. He is also the co-author of two books: Food Grown Right, In Your Backyard and High-Yield Vegetable Gardening. Geva joined the Little Star team in 2014 and was in the classroom as a lead afternoon teacher for two years before transitioning into an administrative position. In 2018, Geva became the Programs Director for our Winthrop campus. As a mother of two young boys (James, born in 2016 and Tommy, born in 2018), she has a passion for the infant and toddler age group and is immersed in that world both as a Mama and as Programs Director! Geva is qualified with her Child Development Associate credential, specializing in Infant and Toddler (birth to 3 years). Originally from New Zealand, Geva has been involved in childcare and education for over a decade, working in both the US and New Zealand as a nanny, early childhood teacher and manager for a childcare recruitment agency. Geva is full of energy and excitement, and in her own words, "Little Star is my family and second home." She loves yoga, the outdoors, good food and good conversation. Laurel joined Little Star in 2017 as the program supervisor for the new Little Star South Collaborative in Twisp. She has a bachelor's degree in psychology from the University of Idaho, and has held a range of educational and teaching-based jobs including as an early childhood educator/teacher for Early Head Start, a child and family programs coordinator at Seattle's Woodland Park Zoo, and lead infant teacher for Starbucks' corporate childcare program. Laurel and her husband, Eric, live in Twisp and have two young children, Kate and James, who attend Little Star. Erin is a graduate of Washington State University and has a B.A. in Hospitality Business Management. She has worked in the hospitality industry here in the Methow Valley at Sun Mountain Lodge, and then switched course a bit to take on the role of Office Manager at Winthrop Physical Therapy and Fitness. Hailing originally from Bellingham, Washington, Erin moved to the Methow Valley in 2009 with the intention of spending one season. Like many of those who call the Methow home, Erin never left. She bought a home several years ago with her partner Jake, where they reside with their daughter Briar. Erin’s interests include hiking, biking, riding her horse, board games and working on her fishing skills. Erin brings a high level of organization to the Little Star office and will be the point person for all billing questions and changes. Michelle has been at Little Star since 2001 and has taught at every level. She has four children – all of whom attended Little Star and graduated from the kindergarten classroom. Michelle loves to be part of this vibrant, creative and supportive community of teachers, parents and children. She is extremely honored to be a part of a school that follows and supports children’s interests and builds up their self esteem. After high school Anna spent time in Italy, France, Spain and Venezuela where she studied art and language. In 2004 she returned to her preschool – Little Star – as a teacher in the preschool classroom where she taught for 7 years before moving to the toddler classroom. She now has two children and has returned to the preschool classroom. Anna is passionate about the beauty and magic of this world and is delighted to share in that experience with the Little Star children. Anna enjoys art, playing, being outside, cooking and her family. Anna is a Liberty Bell High School Graduate of 1998, spent one year at the Lorenzo DiMedici Scuola DʼArte and is Montessori Certified. After many years of visiting her family here in the Methow Valley, Jenny decided to make the permanent move in 2017 with her daughter. It was after becoming a mother that Jenny became passionate about education. “I respect children as individual, creative and spiritual beings. I value a teaching curriculum that protects the education of the whole child which is why I like the Montessori Method. I am excited to learn more and grow here at Little Star.” When Jenny is not at Little Star, she enjoys playing outside, climbing and mountain biking, cooking, gardening, reading and of course spending time with loved ones. Kevin has lived in the Methow for 12 years but hails originally from Southern California. He moved to the Methow with the goal of living somewhere amazing and doing whatever it took to make it work there. He arrived in the Methow as a rock climber/surfer with a desire to explore a new mountain range and learn to backcountry ski (both of which he has accomplished). Before moving to the Methow, Kevin worked in a variety of educational fields including special education teacher, outdoor education teacher, and teaching conceptual physics and history in a private high school. After working the seasonal style Methow jobs for several years, Kevin wanted to return to rewarding interactions with young people and this is what led him to Little Star. Kevin is thrilled to be involved with Little Star and hopes to offer the future generation of this place we love inspiration and education. Nick and his wife, Phoebe, moved to Twisp in January 2015. Their own children grew up grounded in a close-knit yet open community and that is one of the many things that drew them to the Methow and to Little Star. Nick started coming in as a volunteer and quickly started working/playing as an afternoon enrichment teacher, Friday teacher and Spanish teacher. In lieu of a career Nick has had many different jobs, including: white water raft/wilderness guide in Costa Rica and California; Peace Corps volunteer in Zaire (Congo); founding director of a community gardens program in Salt Lake City; elementary school creative writing teacher; Forest Service field tech in central Idaho; mentor and social worker at a Honduran children’s home; health educator in Ecuador; land steward on Orcas Island; and writer (The Road Builder was published by Penguin/Putnam in 2001; he is working on completing a second novel). Celeste has 20 years of experience teaching with children in both public and private school settings. Her love for experiential and outdoor education led to her join Little Star in 2006, where she began substitute teaching. She enjoys creating opportunities for children to explore and express themselves as they connect to others and our planet. Celeste likes skiing, bicycling and gardening. She has a bachelor's degree in special and elementary education, with minors in science and math. Emily grew up in Santiago, Chile until she was 8 and attended a Montessori preschool there. This early childhood experience inspired her curiosity for the natural world and love for singing. Emily attended The Evergreen State College and graduated with a BS in Environmental Science. She has worked teaching kids in community garden projects, beach naturalist programs, aboard the schooner, the Adventuress, and in western Washington forests. Emily has worked as a labor and postpartum doula since her close friends started having babies 12 years ago, and has taught childbirth classes for the last 4 years. Emily has worked the last three years at a mostly outdoor Waldorf inspired preschool in Olympia. Emily has two fabulously fiesty kids that keep her on her toes. She has been visiting the Methow Valley for the past 8 years and loves the beauty of the land. She is excited to be making it her home and joining the Little Star community. 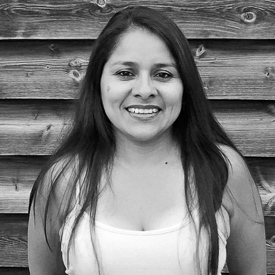 Vanessa was born in Lima, Peru and moved to the Methow Valley in 2016. In Peru, she worked as a Montessori guide for seven consecutive years. Vanessa loves the Montessori philosophy of teaching. “I've had the privilege of applying this extraordinary educational method with young children, adolescents, and young adults, through lecturing and providing workshops throughout my city for many years before arriving in the US.” Vanessa teaches part time in Sky Room (early childhood) and part time in Sol Room (toddler). “I love being a mother and a teacher, being an active witness of how little boys and girls get to discover this world, learning everything they can thanks to their inquisitive minds.” Outside of teaching Vanessa enjoys cooking, dancing and playing with her daughter. Spanish is Vanessa's native tongue and she is working on her English, with help from the children who very much enjoy being the teachers! Kim joined the Little Star family in 1992, and is thankful every day for this loving community of families and teachers. In addition to teaching in our preschool, she leads Parenting with Positive Discipline classes locally. Kim's interests and passions include canoeing, quilting, laughing with friends, cooking and walking the hills of the Methow Valley. She has two adult children, both of whom graduated from Little Star. Zanna’s involvement with Little Star School began in 1983 when she was one of Rayma’s little stars, followed by teaching summer camps, toddler, afternoon program and as a substitute teacher. Zanna believes every child should be empowered through education and treated with respect. She is delighted to be a Little Star teacher and looks forward to having the privilege of learning and growing with your children. She lives in Winthrop with her husband, Michael, and their two sons and two dogs. She enjoys being outdoors, gardening, teaching yoga and spending time with her family. Madison grew up in the Methow Valley and attended Liberty Bell high school before going on to college, where she received her degree in special and early childhood education from Franciscan University. The community of the Methow has always had a special place in her heart, so she eagerly returned to be a part of it and give back. Madison is passionate about learning, awakening children's creativity and sparking excitement for the world around them. Madison enjoys hiking, biking, photography, reading and spending time with loved ones. 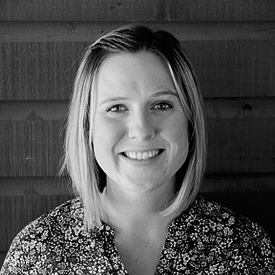 Rebecca has always been interested in working with young children and after returning home to the Methow Valley, she has been busy raising her own family. At Little Star, Rebecca enjoys getting to know all of the children and their families. She is excited to be a loving, nurturing and energetic part of Little Star – and her daughter, Kaydin, might just follow in her footsteps! Rebecca attended Whatcom Community College and studied early childhood education. Michelle’s connection to Little Star began in 2002 when her youngest son enrolled in the preschool class. She soon joined the Little Star Board of Directors where she developed a love and admiration for the school and its philosophy. While raising her three kids with her late husband John, Michelle stayed connected to the school, helping with auctions and various projects. Michelle joined the Little Star staff as an afternoon enrichment teacher in 2015, moving into a toddler teacher position in 2017. She feels privileged for the opportunity to help nurture our valley’s young children. Alison has been working at Little Star since 2012 and loves supporting the children in their creative endeavors. Both of Alison's children, Rowan and Violet, attended Little Star, as did Alison as a little girl. She also graduated from Brenneke School of Massage in 1999 and has her own practice in Twisp at the North Glover Healing Center. Alison loves being a part of this amazing school and hopes to remain a part of it for many years to come. Kate grew up in rural and urban California with a blend of Montessori, public and alternative charter school experiences. After graduating from University of California Santa Cruz, where she studied Health Sciences, she moved to Washington and attended Seattle Midwifery School, graduating in 2009 with both her license in midwifery and a newborn. After a year of practice, she decided to take a break from midwifery to focus on raising her family. During the last nine years Kate has participated in her children's co-op preschool in Seattle as teacher-parent, board member and substitute teacher. Moving to the Methow with her family in 2015, she has enjoyed becoming a part of the community as a Little Star parent, volunteer at the Winthrop Library story time, Little Star substitute teacher and birth assistant to Methow Valley Midwifery. She is excited to join the Little Star teacher team this year to share her love of music, play and children’s literature. When not teaching you will likely run into Kate on the trails running or hiking, at the Winthrop library or hanging out with her three kids at after school activities. 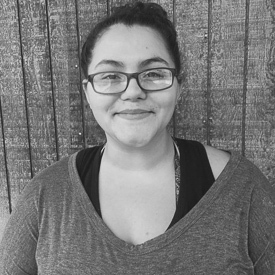 Nicole has been with Little Star since the summer of 2007 in various capacities including summer camps, the afternoon program, lead preschool teacher and now infant teacher. She went to school in Boston to study early childhood education while working as a nanny and volunteering as a preschool teacher. Nicole enjoys spending time with her family and baking delicious goodies. Nicole is Montessori Certified. Signe is a long-time valley resident and raised three of her four adult children here in the Methow, after retiring from a career in midwifery and childbirth education. She has shared families with Little Star and been a close friend of ours for years, and is looking forward to joining the team in a permanent capacity in 2018! Signe enjoys the outdoors, art, music and babies. Matt is excited to be part of the Little Star family and to bring his vast experience teaching youngsters arts and music. Matt holds a Master of Fine Arts in ceramics and a Bachelor of Arts in music from Central Washington University (CWU). While attending CWU, Matt studied ceramics under Stephen Robison, and violin under Carrie Rehkopf and Heather Netz of the Kairosstring quartet. Matt is a co-owner of the Spartan Art Project, an experimental art space, and the owner of Methow Valley Clay Art Center. 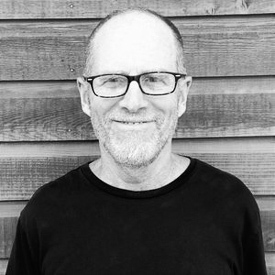 He is a resident of the Methow Arts Alliance, serves on the board of Cascadia Music as chair of their publicity committee, and on the board of Confluence Gallery and Art Center in Twisp, Washington. Elise is honored to be at Little Star as a teacher of our youngest children. Her 17-year-old son, Chase, attended Little Star and Elise is certain that his curiosity about the world was fueled by Little Star teachers. “Since that time, I have taken note of the deep spark of excitement I feel upon walking into a building full of children.” Two years ago, Elise became an aide at Methow Valley Elementary School and more recently at Little Star. She enjoys sharing her love of sewing with kids in the after school program. Her other joys include growing food and flowers, running and hiking, witnessing the remarkable lives of teenagers and appreciating our incredible human and non-human valley life. Ananda grew up near Winthrop and has always enjoyed children, starting when her younger brother was born. She babysat as a teen and nannied for a few families. After earning her B.A. degree in Psychology from University of California at Santa Cruz, home of the Banana Slug, she pursued social work with infants to adults who were drug-affected, mentally disabled or troubled in California and Washington. Her heart led her home to the Methow, where she and her husband enjoy their two children (who both attended Little Star) and the stellar Valley. She loves adventures, art, dancing, singing and meeting new people. Ananda is thrilled to be back home and at Little Star with a wonderful team, supporting families and sweet children at their life's beginning. From the time Khristina’s younger brother was born, she began her adventure of caring for children. She went to school at Liberty Bell and during high school she worked as a regular babysitter. Khristina also worked as a nanny, coached 6th grade girls’ basketball and spent many hours with children of all ages in various capacities. In addition, Khristina volunteered and substitute taught at Little Star and enjoyed the environment and teaching methods. She is very excited to start her journey with Little Star Twisp, being able to work with the young children there. During Khristina’s free time she enjoys hiking, reading and spending time with her dog and family. Carolyn is very excited to join the Little Star Twisp toddler teaching team! Her son, Jed, attended Little Star from 1982-86. Carolyn worked for Little Star during the early days when it was on Castle Avenue for 18 months while her son attended. She has taught Spanish at a Montessori school in Woodinville while she completed her Montessori certification. She has settled in Twisp in a house she built, and is happy to find her place at Little Star. She enjoys the time to invest in the Methow Valley children. Seeing her son attend Little Star and watching him grow into a caring professional who reaches out to people worldwide, confirms the value of Montessori school in the formative preschool years. Carolyn says that peace really is the world smiling and it is our children who bring those smiles out all over the world. Haley moved to the Methow Valley in 2015. Her first experience at Little Star was through an internship program through the Independent Learning Center (ILC) in 2016. She loved the experience and realized that this was a career she wanted to pursue. Haley was hired in the fall of 2017 as an infant teacher for the new Little Star Twisp campus. Haley has found her “niche” with the young babies, where caring for them comes very natural to her. Haley has a very strong nurturing nature, and has always had a passion for early childhood education. Haley is a graduate of the ILC in 2018 and is looking forward to new opportunities at Little Star. Sarah moved to the Methow Valley in 2018 from the East Coast. She has worked with children of all ages and with varying abilities. She is an avid horsewoman and loves the outdoors!